Wondering what the women behind SheKnows Parenting are obsessed with? Introducing Mom’s Must-haves, a column that gives you an inside look at what the kids are playing with and what our editors can’t live without. 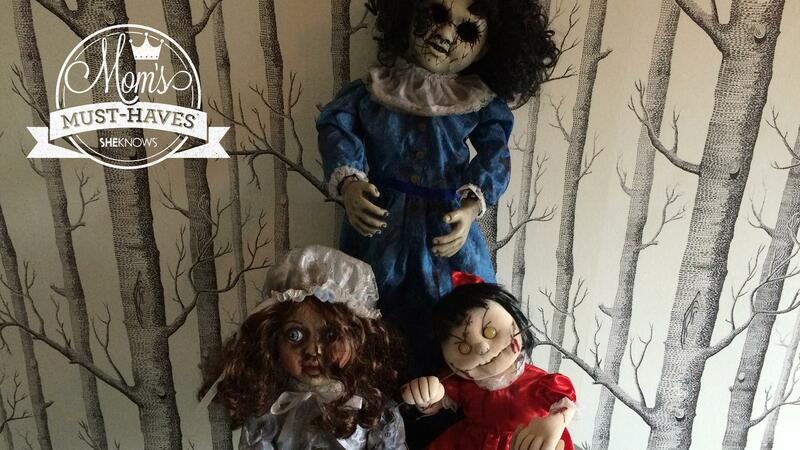 It’s so wonderful that hospitalized kids can also enjoy Halloween, and my own kids are currently terrified of these hilariously creepy animatronic dolls Spirit sent my way. 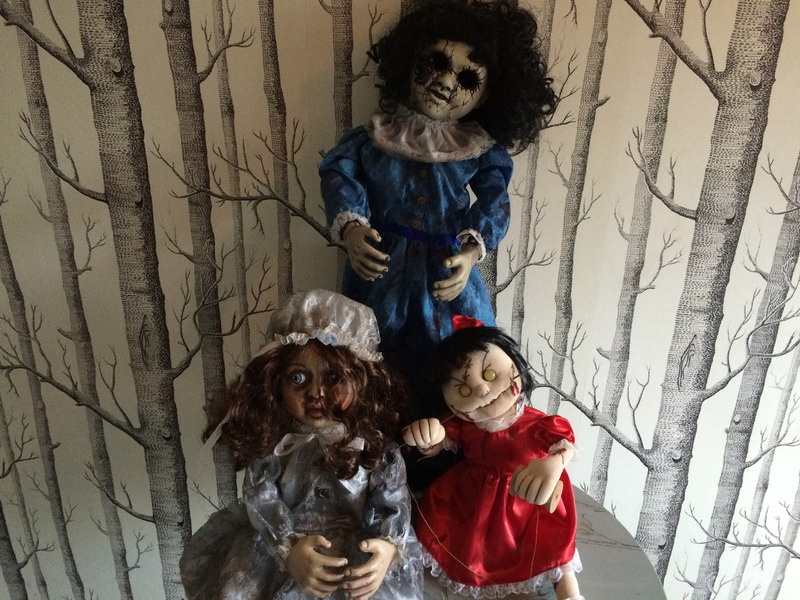 The roaming antique doll that utters spooky phrases and looks like she is floating, the Decrepitrudy animated doll who wants to play with you forever and the evil rag doll who is sewing her own mouth shut. I cannot wait for Halloween night and for all the kids who darken my doorway. I am such a fan of DK Books, and one of the best things about them is that they are fun for adults to read too. Now, I know some of you with older kids like I have think there is no point in reading to kids when they are reading on their own, but some of the best conversations I have had with my own kids are by reading something together with them. DK Books have awesome facts, gorgeous illustrations and can provoke many conversations between you and your kids, even if they are a little too big to sit on your lap. Thursday nights are my me time, where I get to curl up with Shondaland and watch all my stories. As much as I love Scandal, I am so into How To Get Away With Murder and the amazingly gorgeous Viola Davis. Shonda Rhimes creates smart TV for smart viewers with smart story lines that are addictive and fun and she has made me adore my Thursday nights after the kids are asleep. I received a gigantic box from a company called Nuts.com that sent me everything they make except nuts. 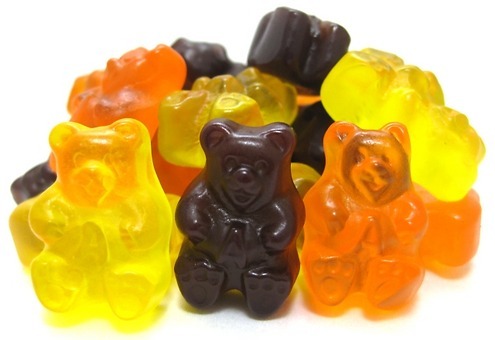 Yummy gummy pumpkins, Halloween jelly beans, yogurt pretzels, pumpkin seeds — this place has it all, especially for those parents out there who want to give their kids more healthy treats other than fun-sized products. They also sell some more unhealthy items, so I may have to do some of my Christmas shopping there. When you are reading this, I will be settling in with a giant tub of popcorn and some Junior Mints for the most anticipated movie of the year. I have loved Gillian Flynn forever and I am beyond excited to see the big-screen adaptation of her un-put-downable book. Will you also be going to see it? Let me know in the comments so we can discuss it! The writer received the Spirit Halloween dolls, DK Books and Nuts.com items from the respective brands so that she could try out the products. All opinions expressed in the article are based on the reviewer’s own assessments of the products.